Pine is a type of softwood that also grows in many different variations, some of which will also be discussed further on in the article. 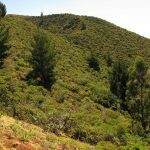 Pine also comes in a variety of colors, which can range from a yellowish brown to a deep reddish brown. White pine is also available. Aside from color variations, pine has other beneficial characteristics as well. First of all, it is light weight, which means it is easy to work with. Finished projects are also easy to move around. Secondly, it is less expensive than other varieties of wood, such as the many types of hardwoods. Pine is also smooth, yet porous, so it is both easy to use and paint absorbent. However, pine plywood does have some disadvantages. For starters, while it is known to be fairly stiff and sturdy, it does have a tendency to wear down over time. This is especially true for projects that are exposed to heavy or rough use. Pine is also known to have more visible knots and flaws than other types of plywood, which is great for an antique or rustic look but not a more modern style. Lastly, while pine plywood is very easy to paint, it is not the same in the case of staining. • Knotty Pine – this is the type with many visible knots that gives off a rustic look. However, the knots are both small and tight, so damage due to them is not a problem. • Heart Pine – has less knots, so it is not as great for a rustic look. However, it is both dense and strong, yet very soft and easy to work with. 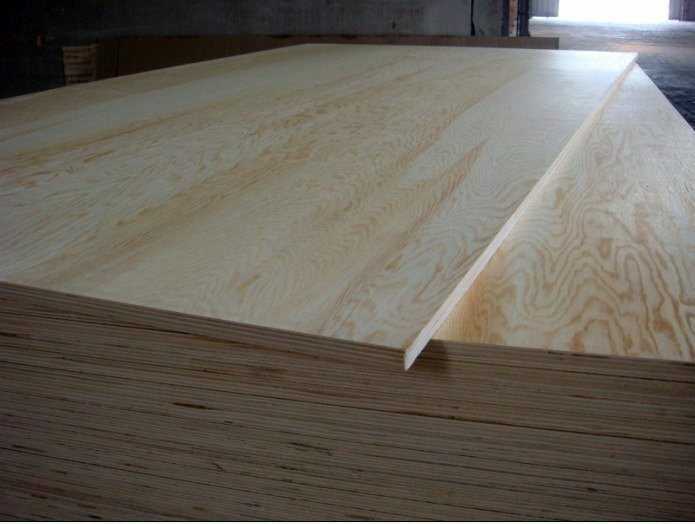 • Douglas Fir– This type of wood is tightly packed (knots and grains). It, unlike other types of pine, also both paints and stains well. 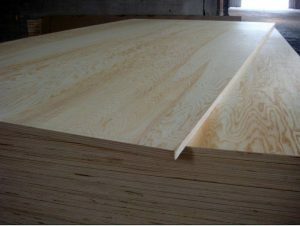 Any type of softwood plywood is typically used for construction or industrial purposes. So, for example, it is very often used in walls, ceilings, or as under layers or sub-flooring. As for actual objects that are made with softwood, and more specifically pine, plywood, people often use this to make boats. This is because it has a high strength to weight ratio and is very light weight. People also like to use pine plywood in furniture construction, especially since it does give off such an antique and rustic look. Bookcases, wardrobes, bed frames, chairs, and tables are all great examples of what pine plywood can be used to make. Again, while pine is a favorite for furniture making and other projects because of its ease and look, it does wear down over time. This wood should not be exposed to harsh conditions or rough treatment. Furthermore, certain types will hold up better than others. Depending upon intended use, a sturdier but more expensive plywood may be the best way to go. Pine plywood is easy to find in any local hardware store. Again, it is also relatively inexpensive.